Why turn to the Register when you need a new expert witness? To benefit from access to our services now, click to subscribe. 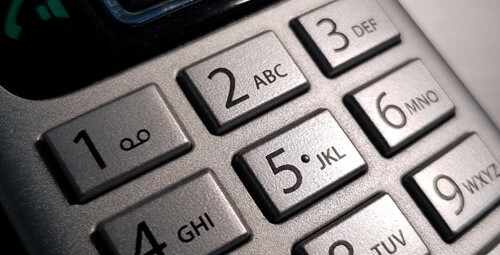 If you still have questions, please call us on (01638) 561590. Use the Register however you like! For further information about the App, visit the Apps page. From its start in 1988, the UK Register of Expert Witnesses has objectively checked the witness part of the expert witness equation. That’s for all applicants, no exceptions. All experts listed as vetted have been independently vetted by us. Is the lawyer satisfied with the expert’s work in a number if categories: civil, criminal, SJE, report writing, courtroom skills, etc. Once experts have successfully gained entry into the Register, they have the option to subject themselves to periodic re-vetting. Through voluntary periodic re-vetting, experts can update their skill set details. the form the expert report must take. 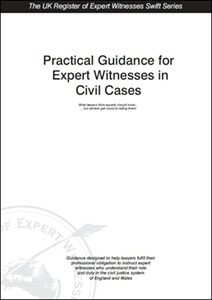 Our Practical Guidance for Expert Witnesses in Civil Cases meets these requirements and more. Use it to demonstrate that you have made efforts to ensure your expert has all the necessary detail. To use Practical Guidance for Expert Witnesses in Civil Cases, your firm must be a subscriber to the UK Register of Expert Witnesses. If you are a subscriber, you will find the Guide on your subscriber page. Contact us if you are not sure how to access your subscriber page. The Expert Location Helpline offers 30 free searches per year to subscribers. NB All enquiries are treated in confidence. More difficult enquiries and tailored customised searches often require us to contact external sources, which may mean we are left waiting for replies. In such cases you will be kept informed of progress daily. Need help now? Call us on (01638) 561590 or email [email protected]. Benefit from full access, case by case! Can’t justify the cost for a year’s continuous access? We aim to provide you with three named experts. If, on consideration by you, none of these experts is suitable, we will attempt to locate one further named expert. under which we offer this service. The fee covers our time to conduct the searches and is payable whether or not you ultimately choose to instruct one of the named experts. To commission a one-off search, simply complete the Search Request Form. J S Publications (JSP) offers the ad hoc Search service (the Service) on the following terms. 2) JSP will base the selection of experts on the information provided by you. The more detail you provide, the more focused our search can be. However, the level of detail you provide is entirely a matter for you. 3) JSP will aim to provide you with three named experts. If, on consideration by you, none of these experts is suitable, we will attempt to locate one further named expert. However, JSP only guarantees to provide the details of one named expert. If JSP cannot locate an expert, your fee will be refunded. 4) The fee you pay covers our time to conduct the search and is payable whether or not you ultimately choose to instruct one of the named experts. 5) We only offer this Service to lawyers based in the UK and will only provide the details of experts based in the UK. 6) The search fee, £25 (+ VAT), is payable in advance. Whilst the information contained in this Guide is believed to be accurate and up to date, it is supplied for general information purposes only and does not constitute professional advice. It is given without liability and neither J S Publications nor the authors accept responsibility for any loss that may arise from reliance on information contained herein. It is for the individual concerned to ensure compliance with the rules of court, practice directions, protocols and any codes of practice currently in effect. I would like to say how helpful I have found your publication which has kept me in line with all the changes that have taken place over the years that I have been doing expert witness work.